Morning Seminar with inspirational former St Kilda Coach. Please join us for a morning seminar with footy coaching legend, Stan Alves. Keys to motivation and leadership in a high intensity environment. His experience in the areas of business management, development & marketing. From 1994 to the end of 1998 Stan Alves had taken StKilda to two Final Series, won an Ansett Cup Pre-Season Competition Premiership (their first of any kind for 30 years), got them to their first Grand Final appearance in 31 years and guided them to where they were now respected for their on-field performances. 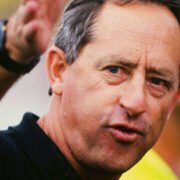 For his own part, Stan Alves became St Kilda’s second longest serving coach and was rewarded with 1997 Coach of the all Australian Team and 1997 AFL Coach of the Year.